Heather Goldson, SVL Chief Marketing Officer; Michael Bernard, SVREL Chairman; Ann Dawn Young-Sang, SVL CEO; and Peter Green, SVREL Director of Marketing with the SVL Jamaica Two-Year-Old Series Trophy at the launch of the series at the Spanish Court Hotel in Kingston on Thursday. 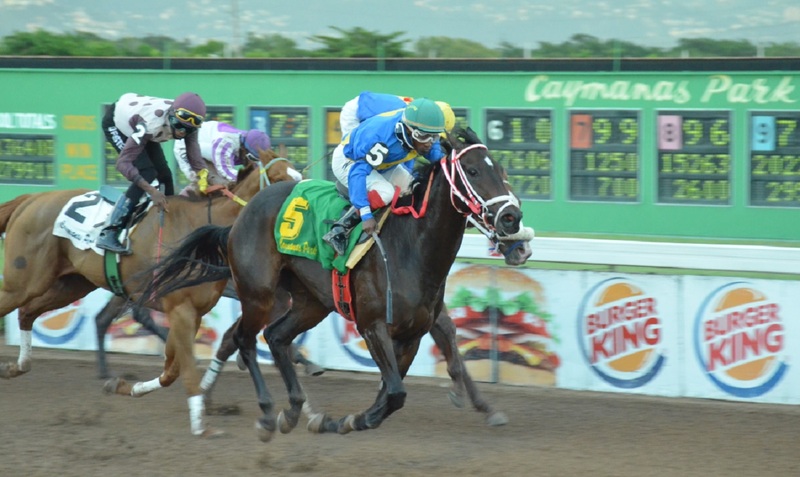 The 14th edition of the Supreme Ventures Two-Year-Old Series, with the first race set for the end of September 2018, was launched on Thursday by Supreme Ventures at the Spanish Court Hotel in Kingston. The series, the first of its kind in the English-speaking Caribbean, is over three legs. 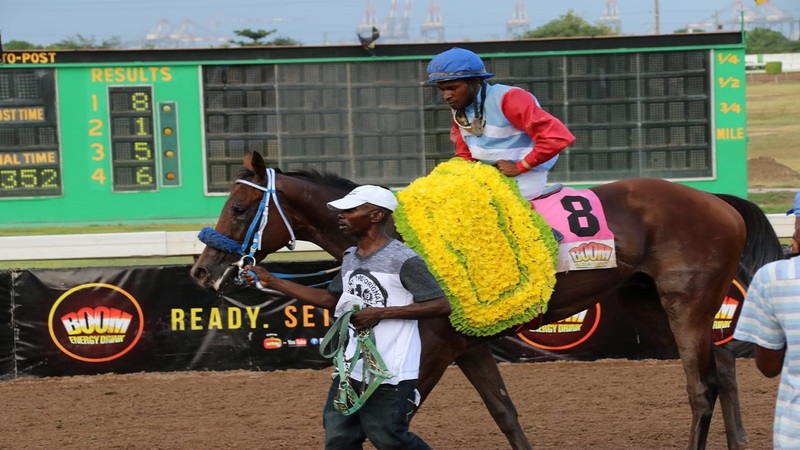 The first race on September 29, 2018, is the Cash Pot Only One For Me Trophy over 1200m for a purse of approximately US$24,000. The series opener will be followed by the Pick 3 Super Challenge Trophy over 1400m on Saturday, November 24, with a purse of approximately US$26,000 and the Supreme Ventures Limited 2-year-old Stakes over 1600m on December 26. This race carries a purse of approximately US$29,000. While speaking at the launch held at the Spanish Court Hotel in Kingston on Thursday, SVL Chief Marketing Officer Heather Goldson said the additional investment of approximately US$33,000 this year further demonstrates the company’s commitment to racing in Jamaica. 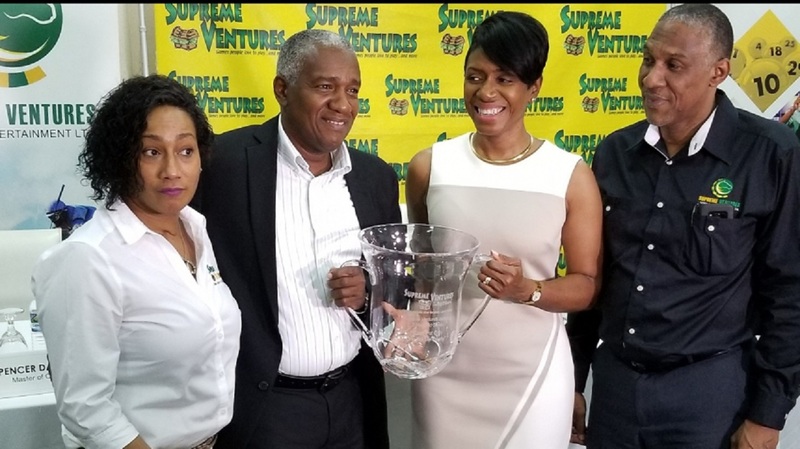 “We stand committed with our family at Supreme Ventures Racing and Entertainment Limited SVREL, to improving the racing landscape in Jamaica, and we think we can confidently state that with the combined effort of our team members and valued industry stakeholders we are moving at a steady gallop in achieving that goal,” she said. 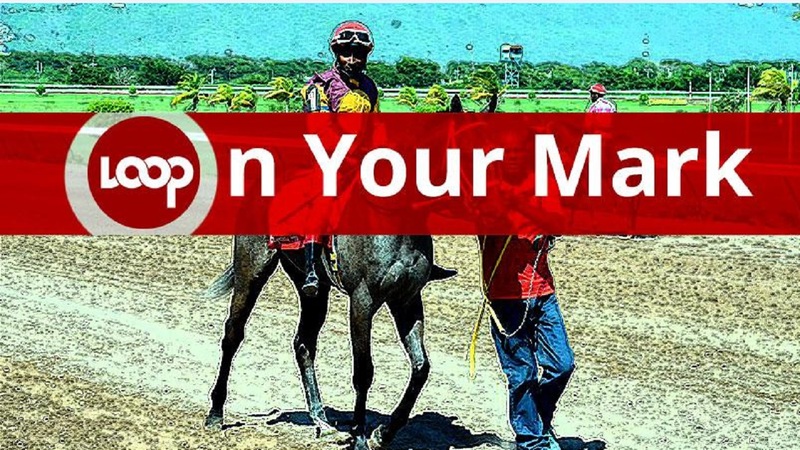 If any horse wins all three races, its owners will walk away with a bonus of approximately US$7000. However, to become eligible for the bonus and free entry to the first two races a horse would have to pass through, sold or unsold in the 2017 Thoroughbred Owners and Breeders Association (TOBA) Yearling Sale on Sunday, November 12 and be nominated by their owners to TOBA on or before November 12, 2017. Horses that were not entered, sold or nominated at the TOBA sale on November 12, 2017, are still eligible to run if their owners pay a nomination fee by the times designated by the condition booklet.